This entry was posted on Wednesday, March 15th, 2006 at 11:11	and is filed under Planet Gnome, Planet Gnomefr, Software. You can follow any responses to this entry through the RSS 2.0 feed. Both comments and pings are currently closed. Any site published by zeroconf on the network will appear as a bookmark in epiphany ! What about the Alt-? shortcuts, wouldn’t they conflict with the menu shortcuts. Will Alt-f trigger the File-menu or the deskbar item with shortcut=f? Looking really good. I’m now thinking of switching back from Firefox. Mim: The Alt-f feature is a deskbar thing, not an epiphany thing. Deskbar is just a panel applet, so it has no file menu, or any other menu other than the context (right-click) menu. Hehe, Epiphany is the best. I made a promotional button some time ago. Quick grammar nazi tip for you: “its” only has an apostrophe in it when it is used as an abbreviation for “it is”. So “to open a command-line program and see it’s output” should be “to open a command-line program and see its output”. Apologies for the pedantry but I find stuff written like this really frustrating. Looks awesome, been a epiphany user for a while now, and got to see I will use it over FF any time. One really cool feature would be a spell checker for text areas like the one I am typing in now. Although I’m not sure if anyone is working on anything liek this. Please learn the difference between “its” and “it’s”. Proper Cookie-handling. Only three options is far too less for users who want fine-grained control over their private data. i was just wondering how u fixed ur rss feeds? I’ve done a epiphany article here (http://kugghiuns.altervista.org/xoen_blog/2006/03/23/firefox-bye-bye/). 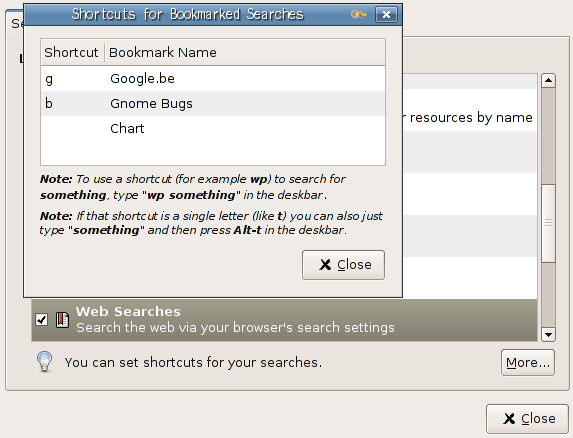 And my favorite one: it’s the only graphical browser I know that can be used without mouse effectivly. Check out this review of all the internet browsers.. epiphany almost always come last which is disappointing.. I really like epiphany however I find Opera 9 much faster. 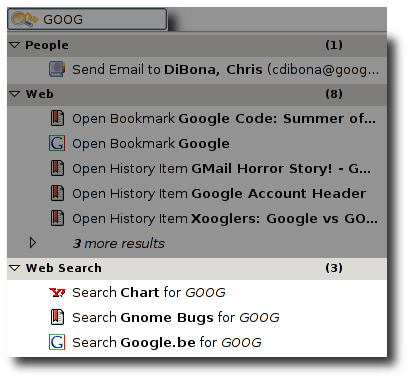 The deskbar integration is a killer in epiphany however I can live without out as opera supports custom search engine tabs and I can always find the deskbar on the panel. any way to make the lookup feature from the menu open a new tab instead of a new window ? Yay! Epiphany is hype, and we love hype. 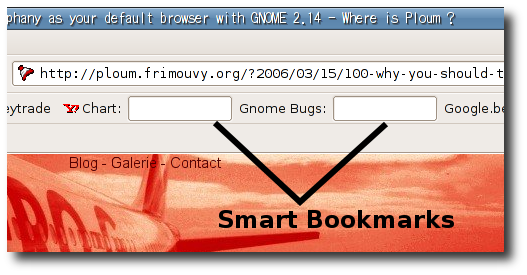 A lot of COOL and very useful features, easy integration with other GNOME software. It shines. BTW, nice blog, its on my Liferea from now on. 198. What is that supposed to mean?